Do away with serving your olive oils and vinegars straight from the ordinary store-bought bottle, and pop them in a Bistro Oil and Vinegar Dispenser, instead. 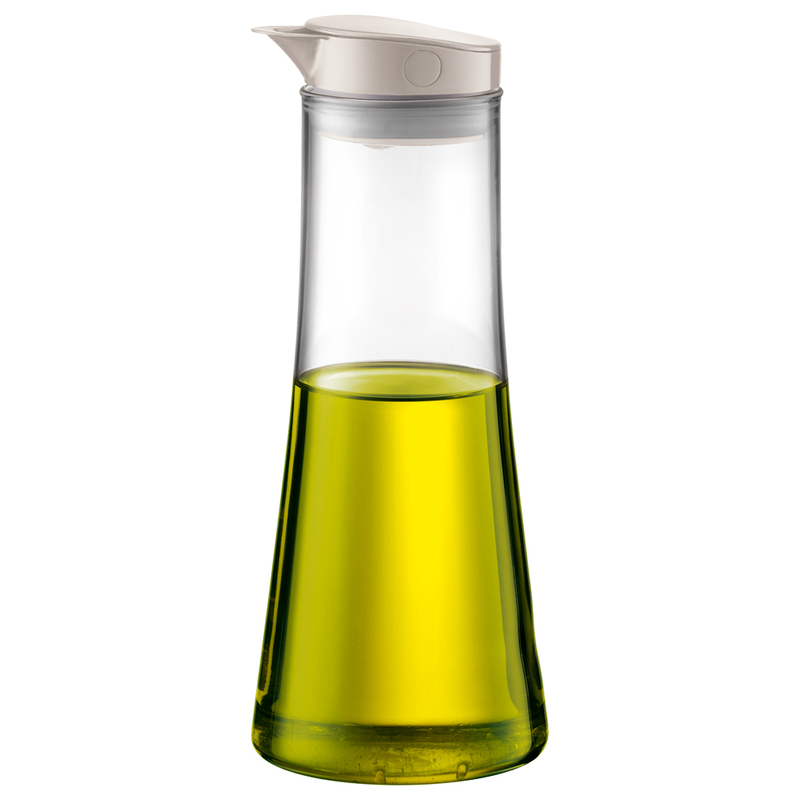 Its sleek borosilicate glass bottle showcases the colour of your oil, while its lid cuts the flow of liquids once you’ve finished pouring to minimise drips. Within its lid, you'll even find a silicone ball, which helps seal off exposure to air when the dispenser is standing upright, keeping the contents fresher for longer. Bottle made from borosilicate glass. Lid made from matte plastic, with rubber grip. Cuts the flow of liquids once you have finished pouring, eliminating messy drips. Silicone ball within the lid seals off exposure to air when dispenser is in upright position.